* BRM4 has been clinically shown to support natural killer (NK) cell activity. 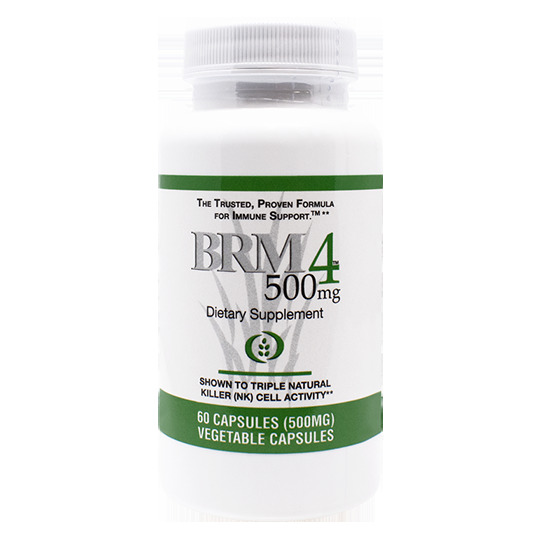 * Research indicates that BRM4 supports the body's natural production of cytokynes (interferon and interleukins). * BRM4 also supports the activity of lymphocytes (B cells and T cells as well as NK cells). * In both laboratories tests and clinical trials BRM4 was shown to be safe with no harmful side effects. 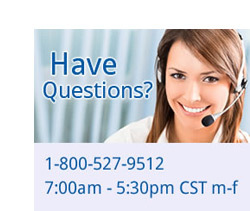 * % Daily Values are based on a 2000 calorie diet. † Daily Values not extablished. As a dietary supplement, take two (2) capsules before or after a meal. For best results, the following two-step program is recommended: Step 1: Take 2 capsules 3 times per day for 4 weeks. Step 2: After 4 weeks, reduce dosage to the maintenance level of 2 capsules daily. BRM4 contains Rice Bran Arabinoxylan Compounds (RBAC) that is produced by a patented process using rice bran hemicellulose and shiitake mushroom mycelia. U.S. Patent No. 5560914.